It is a circle of people, each with a drum or any another percussion instrument, playing together and guided by a facilitator. 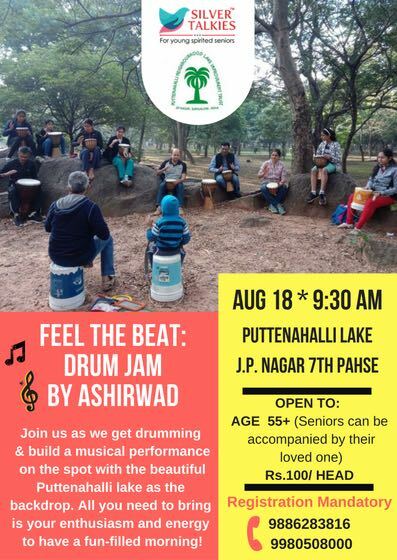 Everyone can drum even if they have never drummed before. We instinctively possess a sense of rhythm: we tap our feet, our hearts beat and create a vibrant morning. Ashirwad will guide you to discover the rhythm that’s already within you. Making music is exciting, and if it’s your first time, it’s really exciting!